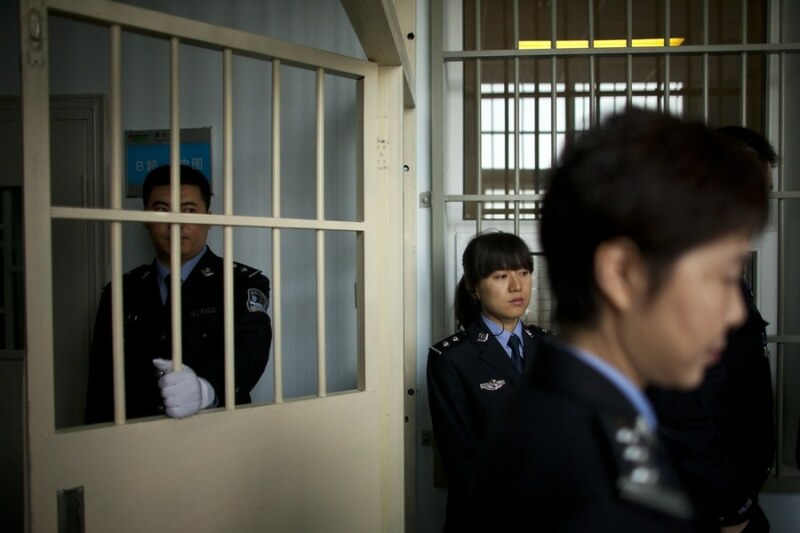 Police officers guard a hospital ward while visiting journalists are led on a government-organized tour at the Number Two Detention Center in Beijing on Oct. 25, 2012. Seen through a metal fence gate, a prosecutor walks out of a building of the Number One Detention Center. 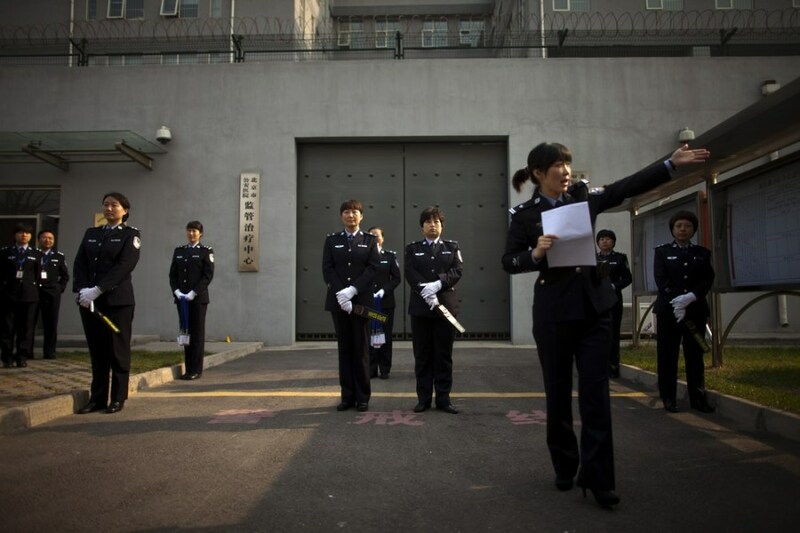 Journalists were taken on a government-organized tour of a detention center in Beijing on Thursday. 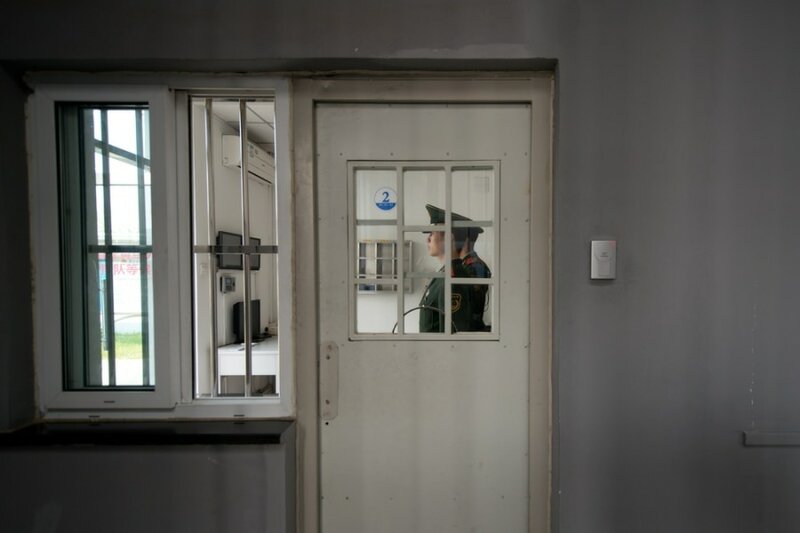 The rare access to the facility, which has capacity for 1,000 inmates, was offered to the international media as China prepares for the Communist Party Congress, which is due to open on Nov. 8. 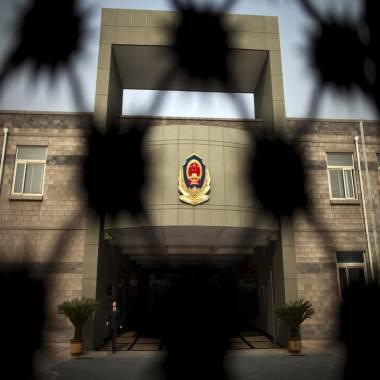 Detention centers in China are primarily for people who have been detained by police on suspicion of committing a criminal offense and are awaiting trial. A paramilitary policeman looks at foreign journalists as he guards an entrance to the Number Two Detention Center. 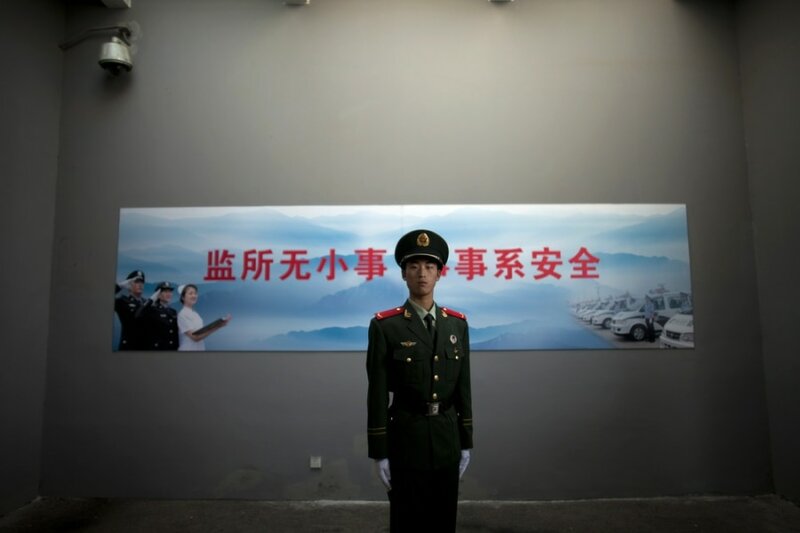 The slogan on the wall reads "No small matter in detention center, everything concerns safety." 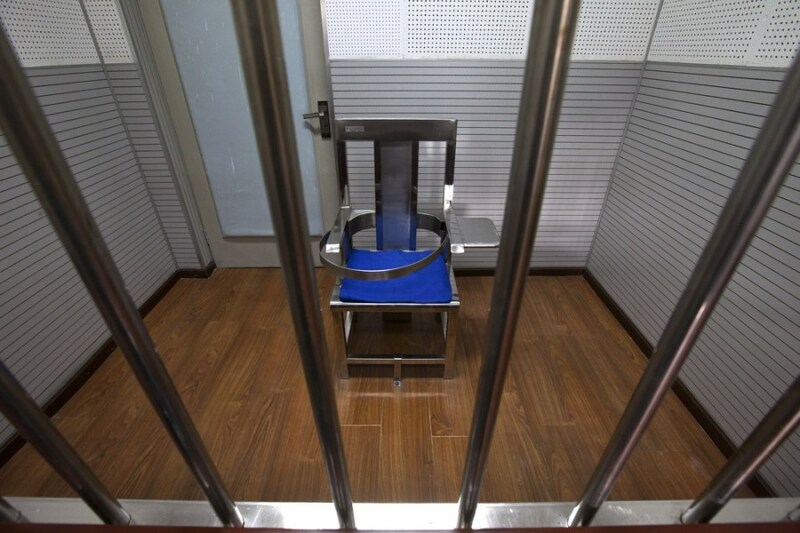 A chair specially designed to restrain the inmate is set behind bars in an interrogation room at the Number One Detention Center. 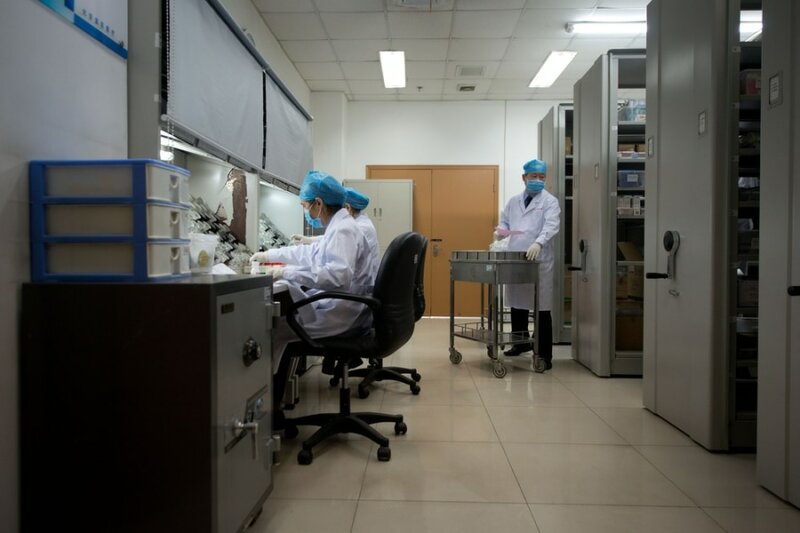 Pharmacists work inside a hospital wing at the No.1 Detention Center during a government guided tour. Police officers wait to perform a security check on visiting journalists outside the gate of the Number Two Detention Center. 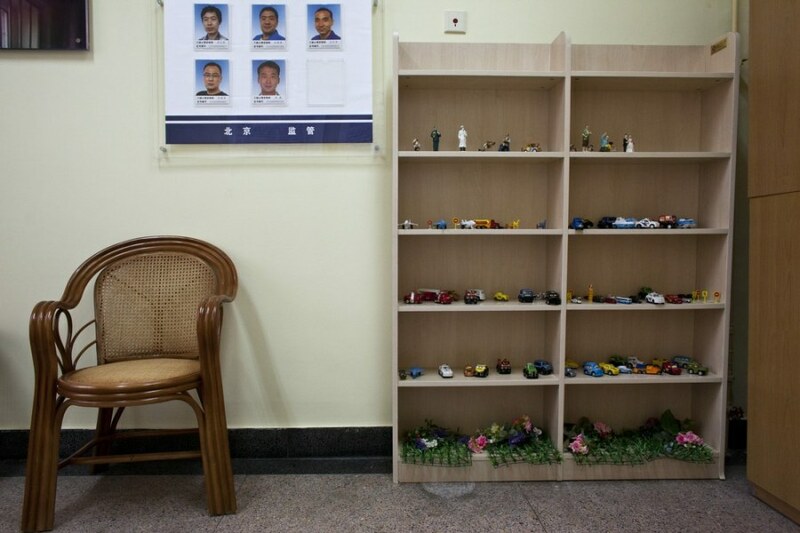 Toys, photos of psychiatrists, and a chair are arranged in a psychology consulting room at the Number One Detention Center. A paramilitary guard stands at a security door inside the No.1 Detention Center.